A man who authorities say was growing marijuana in a central Florida storage unit panicked when he heard a police helicopter hovering nearby and called 911 to surrender. The problem? Edgewater police officers were in the neighborhood Wednesday afternoon to investigate an unrelated suspicious death. It was shortly after 12:30 p.m. when 47-year-old Jasper Harrison told the dispatcher he was ``the guy'' they were looking for, adding he wanted to come out without being shot. Harrison told the dispatcher he wanted police to contact him. An officer called and got directions to his storage unit. 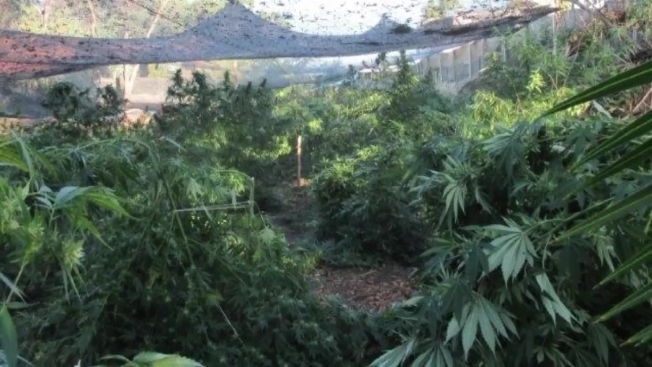 Police found 150 grams of cultivated marijuana and nine plants inside. Harrison faces charges of growing marijuana within 1,000 feet of a school and intent to sell. It's not known if he has a lawyer.